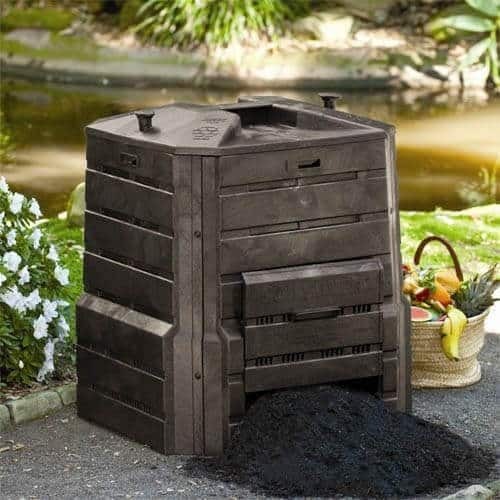 The Algreen Products Soil Saver Classic Compost Bin is a money saver as it decreases curbside pickup expenses. The product also reduces landfill waste while generating rich organic compost which is a good way to keep your plants in tip-top shape. It is designed with a locking self-watering lid, a large opening, and two sliding doors. With this product, you not only help the environment, but you can also save your family money. ​As compared to the Envirocycle Mini Composter, the Algreen Products Soil Saver Classic is more labor intensive. With the SS, you need to manually turn the compost while the Envirocyle Mini Composter includes a spinning feature which makes the work much easier. In term of style and design, it looks a little frugal but costs less than the Envirocyle Mini Composter. Both the SSC and Redmon Green Culture composter have almost the same rugged features. They both have ventilation holes on the side panels. Both products require the same amount of work to turn the compost. Although both of these composters are in the same low price bracket, the Redmon is slightly cheaper than the Soil Saver. The bin has a larger capacity with 12.6 cubic feet as compared to the Redmon which can only contain 8.6 cubic feet. With its two locking knobs, its more secure than the Redmon Green Culture. Capacity is about 12.6 cubic feet. Durable - The SSC is made with thick materials for durability. It can withstand any type of weather. The product won’t be blown over by wind thanks to its sturdy design. Sturdiness is further increased if you place the bin on level ground. Affordable - All of these great features come with an affordable price. This is perfect for any households even those who are on a tight budget and want great savings in return. This is a great purchase for those who wish to recycle their kitchen waste in an effective manner. Easy to assemble - Anyone can assemble this composting bin which comes complete with panels, bolts, and screws. Just fit the side panels together, and put the screws into the matching holes. Follow the same process with the top panel. All panels fit together perfectly. You can assemble the whole composter in just a matter of minutes. No professional assembly needed. Fully enclosed - The top doors effectively keep animals out of this compose bin. They lock tightly with two knobs placed at both sides. Since it requires both knobs to be turned to open, you can be assured that animals and rodents will not be able to get into the tumbler. This locking system will protect the compost inside. You can be sure this product will safely contain all your food waste and other scraps. Great insulation - This openings in the top of the composter promotes great circulation inside. Air can freely enter the bin. This speeds up the composting process by as much as six weeks. This is good for a tumbler of this price and quality. Emits a mildly foul odor in the summer - A few customers have complained about issues regarding a mildly unpleasant odor during the heat of the summer months. 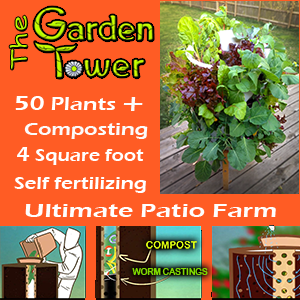 This can be reduced by adding layers of newspapers or leaves above each green layer of food waste. 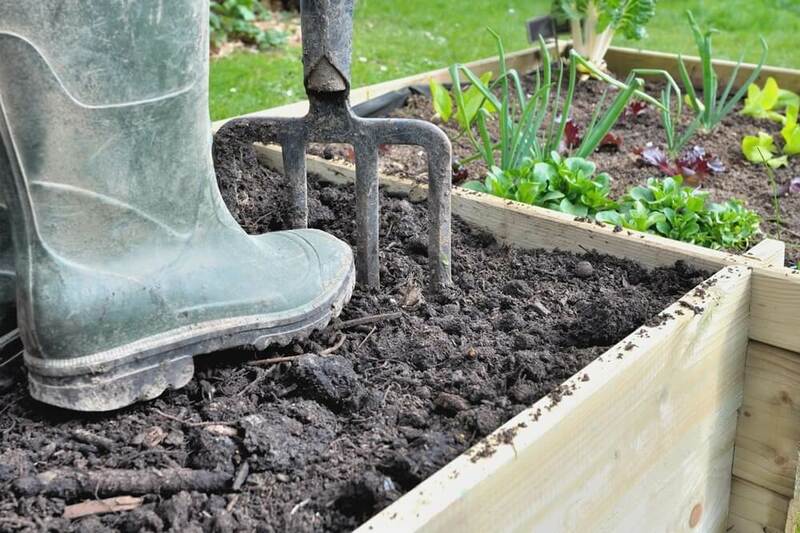 A small amount of garden soil can also be placed inside once in a while to minimize the smell. Turning the compost every few weeks can also do the trick. Unloading the container takes quite a long time - Some customers have complained about the amount of time they spent unloading this product. One great way to solve this is to remove the lid and lift it slightly off the bin while shaking it back and forth. If performed properly, you will then be able to empty the bin quickly. You can do this process every two weeks. No bottom - A few customers were concerned with the product lacking a bottom. This open bottom design is made to allow for worms and water to move out of the bin and into the soil beneath it. If you are not satisfied with this design, you should consider another brand, like the Envirocycle Composter which has a strong base at the bottom. Involves too much manual work - Quite a few customers have complained about the manual labor needed for this composter to function well. You need to turn the compost regularly which is laborious work. To solve this problem, you can use a compost aerator. If you are looking for a less labor intensive design, you might want to consider the Lifetime 60058 Compost Tumbler which has a rotating feature. Is The Soil Saver Composter Right For Me? For small families, who will struggle to fill it, or those with limited space, as it takes up quite a lot of room. This product is a great buy because of its great features and affordable price. It is made with thick, fully recycled material which makes it durable and long lasting. If you are new to composting, you should try this product because it is affordable and it delivers ​some of the best results out of our composter reviews.